Reward Offered in the Rabun County Bank Robbery | Cherokee Co N.C.
Dillard, Georgia – In an effort to encourage public assistance in identifying the person responsible for the Rabun County Bank Robbery, a reward is being offered. The reward amount is $5000 and it is being offered for information leading to the arrest and conviction of the person responsible for the bank robbery. On Monday, February 8, 2016 at approximately 12:50 PM, a bank robber entered the Rabun County Bank located at 7408 Highway 441 North, Dillard, Georgia and demanded money. An undisclosed amount of money was taken. The suspect left the scene in a late 1990s model black Ford Explorer. The suspect is described as a black male, with a light complexion, heavy build and standing approximately 6’2-6’4 inches in height. The suspect is believed to be in his late 20’s or early 30’s and had at least one visible tattoo and a facial piercing. 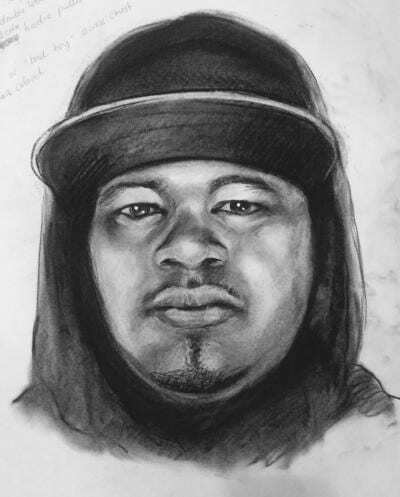 The Dillard Police Department and the Rabun County Sheriff’s Office responded to the scene and are investigating the robbery with the assistance of the Georgia Bureau of Investigation. The GBI, the Rabun County Sheriff’s Office and the Dillard Police Department are asking for the public’s assistance in identifying the robbery suspect pictured in the attached photographs. Also included is a photograph of the Ford Explorer. Anyone with information is encouraged to contact the Rabun County Sheriff’s Office at 706-782-6226 or the GBI tip line, 800-597-8477.